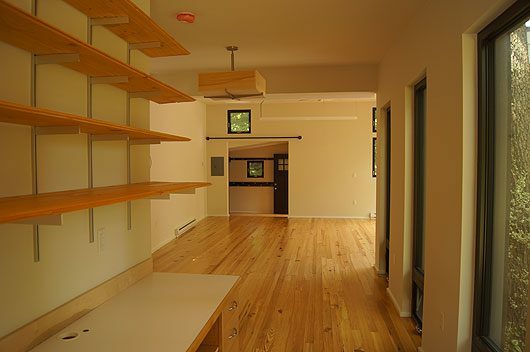 We designed the Old Oak Dojo to rely as much as possible on natural light. We positioned windows to include both direct light as well as reflected light on the ceilings through high transoms. This creates soft and even lighting throughout the day. All of the electrical lighting is low energy and uses LED bulbs.